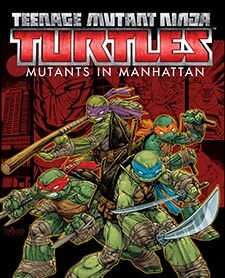 Teenage Mutant Ninja Turtles: Mutants in Manhattan is a beat 'em up based on the Teenage Mutant Ninja Turtles franchise, developed by Platinum Games and published by Activision. It was released on May 24, 2016 for Windows, PlayStation 3, PlayStation 4, Xbox 360, and Xbox One. It includes a single-player mode and an online co-op mode for up to four players. This page was last edited on 30 May 2016, at 14:26.